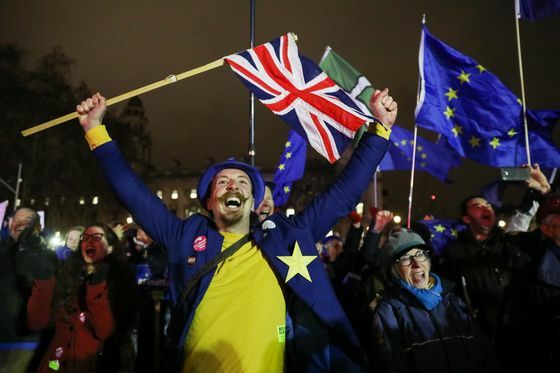 Prime Minister Theresa May’s Brexit deal was rejected by Parliament in a humiliating defeat, her plan for leaving the European Union all but dead. She now faces a confidence vote in her government. The House of Commons voted 432- 202 against the divorce she painstakingly brokered with the EU over 18 months. The largest parliamentary loss in over a century not only prompted the main opposition Labour Party to make its move to try force an election, it also hardened the EU’s position. @jeremycorbyn has put down a motion of no confidence in the Government. It will be debated and voted on tomorrow, Wednesday 16 January 2019. 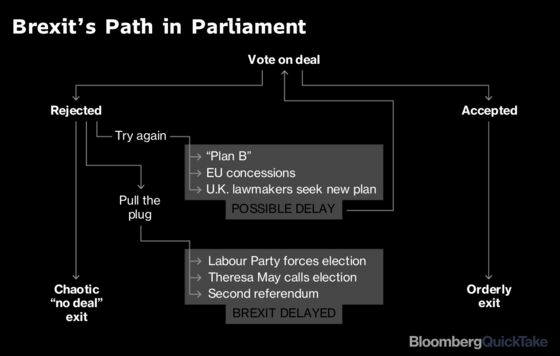 More than two years after the nation voted to leave the 28-nation bloc, the U.K. is mired in a political paralysis over a decision that has divided the nation and its political class for decades. A government spokesman later told reporters May doesn’t believe her Brexit deal is dead, and that cross-party discussions could be the basis for future agreement. The spokesman said those talks would begin as soon as Thursday, and that ideas coming from those discussions would need to be put to the EU. The pound rebounded on news of the plan for cross-party discussions. But May also acknowledged the “scale and importance” of the vote and said the first step must be to confirm that lawmakers still had confidence in her government. A vote is scheduled at 7 p.m. in London on Wednesday. The early signs are that May is likely to win. Northern Ireland’s Democratic Unionist Party, which props up her government, indicated it will support May, as did the group of pro-Brexit Tories which led a failed effort to oust her over her Brexit strategy late last year. But all that could change. May’s choices are limited by the fact that her Conservative party does not have a majority in Parliament, and the competing interests of lawmakers who want a clean break from the EU and those who want to preserve close ties to the bloc. An opposition party with a sniff of power also complicates matters. 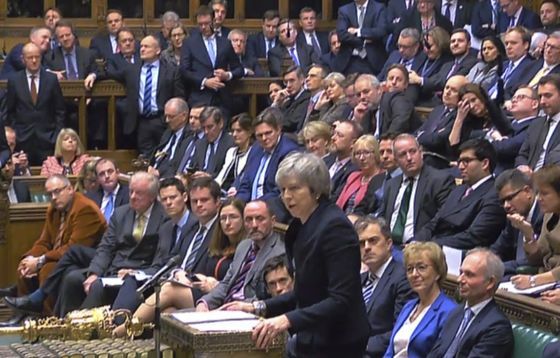 The U.K. is scheduled to leave on March 29, and an increasingly boxed-in prime minister could well decide to ask fellow EU leaders for an extension. U.K. Chancellor of the Exchequer Philip Hammond didn’t rule out it out in a conference call with business leaders and executives. The initial reaction to the vote from Brussels was not positive.